We offer solar based lanterns. 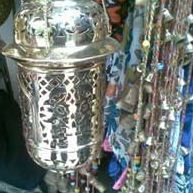 These lanterns are offered by using high quality material and widely appreciated by our clients which are situated all round the nation. Our clients can avail an exclusive range of Solar Lanterns, which is manufactured using best grade raw materials and meet industry standards. These are well known for the performance and durability characteristics. Designer Earthern Diyas with chain fittings. •These handcrafted diyas are made from eco-friendly fire clay. •Fitted with cover and chain. Mail us for bulk enquiry. LED Electronic lantern with high illumination, charging from mobile charger, charging indicator its all available at low price. 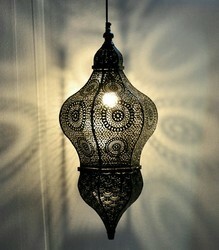 Lamps, Lanterns and Candle holders.